Build your own seed starting kit—everything you need to get growing! 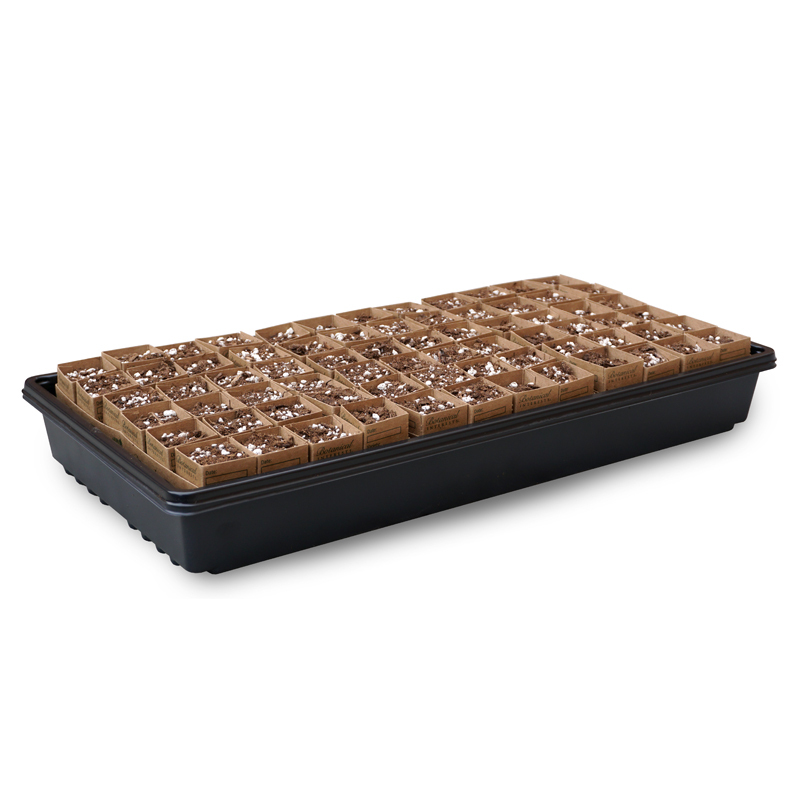 You can start with our reusable tray set-up which is like a miniature greenhouse. Add whatever size(s) recycled paper pots that you need for your particular seeds; they make transplanting so easy, since you plant the pot itself, which biodegrades over time. Need soil? Try a bag of our organic "Wonder Soil" expanding growing medium. You might want to stock up at these prices! Get ready to start your seeds this season! While supplies last, enjoy a 30% savings by purchasing your custom "kit".